even though this article goes back to July, it is even more relevant today! President Obama has engaged in numerous high crimes and misdemeanors. The Democratic majority in Congress is in peril as Americans reject his agenda. 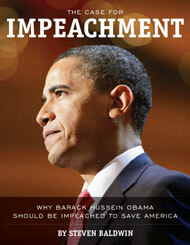 Yet more must be done: Mr. Obama should be impeached. He is slowly – piece by painful piece – erecting a socialist dictatorship. We are not there – yet. But he is putting America on that dangerous path. He is undermining our constitutional system of checks and balances; subverting democratic procedures and the rule of law; presiding over a corrupt, gangster regime; and assaulting the very pillars of traditional capitalism. Like Venezuela’s leftist strongman, Hugo Chavez, Mr. Obama is bent on imposing a revolution from above – one that is polarizing America along racial, political and ideological lines. Mr. Obama is the most divisive president since Richard Nixon. His policies are Balkanizing the country. It’s time for him to go. He has abused his office and violated his oath to uphold the Constitution. His health care overhaul was rammed through Congress. It was – and remains – opposed by a majority of the people. It could only be passed through bribery and political intimidation. The Louisiana Purchase, the Cornhusker Kickback, the $5 billion Medicaid set-aside for Florida Sen. Bill Nelson – taxpayer money was used as a virtual slush fund to buy swing votes. Moreover, the law is blatantly unconstitutional: The federal government does not have the right to coerce every citizen to purchase a good or service. This is not in the Constitution, and it represents an unprecedented expansion of power. Yet Obamacare’s most pernicious aspect is its federal funding of abortion. Pro-lifers are now compelled to have their tax dollars used to subsidize insurance plans that allow for the murder of unborn children. This is more than state-sanctioned infanticide. It violates the conscience rights of religious citizens. Traditionalists – evangelicals, Catholics, Baptists, Muslims, Orthodox Jews – have been made complicit in an abomination that goes against their deepest religious values. As the law is implemented (as in Pennsylvania) the consequences of the abortion provisions will become increasingly apparent. The result will be a cultural civil war. Pro-lifers will become deeply alienated from society; among many, a secession of the heart is taking place. Mr. Obama is waging a frontal assault on property rights. The BP oil spill is a case in point. BP clearly is responsible for the spill and its massive economic and environmental damage to the Gulf. There is a legal process for claims to be adjudicated, but Mr. Obama has behaved more like Mr. Chavez or Russia’s Vladimir Putin: He has bullied BP into setting up a $20 billion compensation fund administered by an Obama appointee. In other words, the assets of a private company are to be raided to serve a political agenda. Billions will be dispensed arbitrarily in compensation to oil-spill victims – much of it to Democratic constituents. This is cronyism and creeping authoritarianism. Mr. Obama’s multicultural socialism seeks to eradicate traditional America. He has created a command-and-control health care system. He has essentially nationalized the big banks, the financial sector, the automakers and the student loan industry. He next wants to pass “cap-and-trade,” which would bring industry and manufacturing under the heel of big government. The state is intervening in every aspect of American life – beyond its constitutionally delegated bounds. Under Mr. Obama, the Constitution has become a meaningless scrap of paper. To provide the shock troops for his socialist takeover, Mr. Obama calls for “comprehensive immigration reform” – granting amnesty to 12 million to 20 million illegal aliens. This would forge a permanent Democratic electoral majority. It would sound the death knell for our national sovereignty. Amnesty rewards lawlessness and criminal behavior; it signifies the surrender of our porous southern border to a massive illegal invasion. 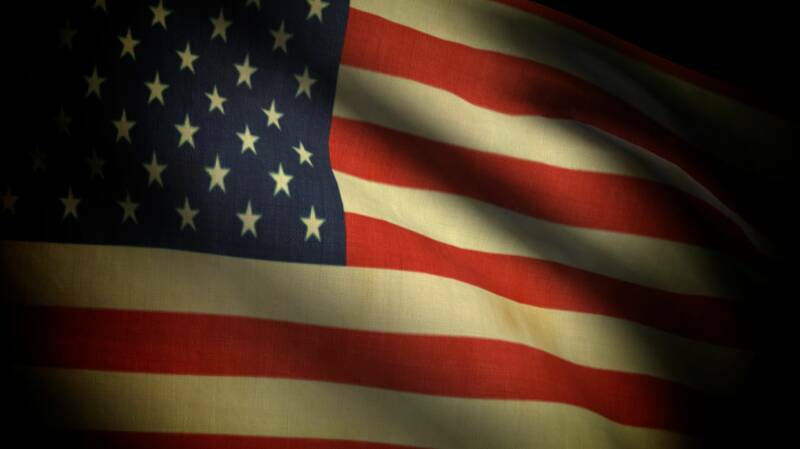 It means the death of American nationhood. We will no longer be a country, but the colony of a global socialist empire. Rather than defending our homeland, Mr. Obama’s Justice Department has sued Arizona for its immigration law. He is siding with criminals against his fellow Americans. His actions desecrate his constitutional oath to protect U.S. citizens from enemies foreign and domestic. He is thus encouraging more illegal immigration as Washington refuses to protect our borders. Mr. Obama’s decision on this case is treasonous. As president, he is supposed to respect the rule of law. Instead, his administration has dropped charges of voter intimidation against members of the New Black Panther Party. This was done even though their menacing behavior was caught on tape: men in military garb brandishing clubs and threatening whites at a polling site. A Justice Department lawyer intimately involved in the case, J. Christian Adams, resigned in protest. Mr. Adams says that under Mr. Obama, there is a new policy: Cases involving black defendants and white victims – no matter how much they cry for justice – are not to be prosecuted. This is more than institutionalized racism. It is an abrogation of civil rights laws. The Justice Department’s behavior is illegal. It poses a direct threat to the integrity of our democracy and the sanctity of our electoral process. Corruption in the administration is rampant. Washington no longer has a government; rather, it has a gangster regime. The Chicago way has become the Washington way. Chief of Staff Rahm Emanuel is a political hit man. He is an amoral, ruthless operator. It was Mr. Emanuel who reached out to Rep. Joe Sestak, Pennsylvania Democrat, offering a high-ranking job in the hopes of persuading Mr. Sestak to pull out of the primary against Sen. Arlen Specter. It was Mr. Emanuel who offered another government position to Andrew Romanoff to do the same in the Colorado Democratic Senate primary. And it was Mr. Emanuel – as the trial of former Illinois Gov. Rod Blagojevich has revealed – who acted as the go-between to try to have Valerie Jarrett parachuted into Mr. Obama’s former Senate seat. The only question was: What did Mr. Blagojevich want in exchange? This is not simply sleazy Chicago machine politics. It is the systematic breaking of the law – bribery, attempt to interfere (and manipulate) elections using taxpayer-funded jobs, influence peddling and abuse of power. The common misperception on the right is that Mr. Obama is another Jimmy Carter: an incompetent liberal whose presidency is being reduced to rubble under the onslaught of repeated failures. The very opposite, however, is true. He is the most consequential president in our lifetime, transforming America into something our Founding Fathers would find not only unrecognizable, but repugnant. Like all radical revolutionaries, he is consumed by the pursuit of power – attaining it, wielding it and maximizing it. Mr. Obama’s fledgling thug state must be stopped. If Republicans win back Congress in November, they should – and likely will – launch formal investigations into this criminal, scandal-ridden administration. Rep. Darrell Issa, California Republican and ranking member of the Oversight and Government Reform Committee, has promised as much. Mr. Obama has betrayed the American people. Impeachment is the only answer. This usurper must fall. Jeffrey T. Kuhner is a columnist at The Washington Times and president of the Edmund Burke Institute, a Washington think tank. He is the host of “The Kuhner Show” on WTNT 570-AM (www.talk570.com) from 5 to 7 p.m.
© Copyright 2010 The Washington Times, LLC. Folks our government has gone completely rogue on us, and are today directing our course towards utter ruin, and on purpose no less; and all to cause a national crisis of the magnitude to cause enough public dissent and anarchy in our inner cities to declare Martial Law. Once that happens, as happened in pre-Nazi Germany, our Constitution and our liberties will be gone! Truly I believe this is the plan, and I’m not the only one saying it. Just take a look at the following article and tell me our country is not in trouble… the only question is, how did we get to this point? We got here because most Americans (Christian and non-Christians) have not been paying attention; and this also didn’t happen overnight, but it happened slowly over many years, as little by little our liberties have been stripped from us, and the rule of law, and especially the rule of the highest law of the land, our U.S. Constitutional, has been ignored. “This is the beginning of the end for the United States unless the people exercise their precious remaining liberties and stand and demand that their elected representatives impeach this president before further mortal damage is inflicted upon America,” the report concludes. The author explains that the Founding Fathers enshrined the impeachment clause into the United States Constitution because they feared that a president intent on subverting the very principles upon which the American experiment was built would someday rise to power. “Despite all the checks and balances and obstacles they put in place, the Founders knew a determined cabal could still gain control of all three branches of government and wield this consolidation of power to dismantle our cherished constitutional principles, and eradicate the freedoms that generations of Americans sacriﬁced their lives to preserve,” he writes. “With the economy continuing to implode, the coming collapse of the dollar, high unemployment rates, the government takeover of entire industries, the administration’s weak and naive response to the worldwide jihadist threat, and the ongoing frontal assault on our Judeo-Christian heritage, the impeachment option is one that can no longer be ignored,” he finds. Impeachment, after all, is based on “high crimes and misdemeanors,” an “old English common law phrase which, in the 1600s, meant negligence, abuse of power, and abuse of trust,” the report says. “Not only has the Obama administration promoted dangerous and unsustainable policies, but it has also engaged in corrupt and illegal activities such as bribery, a crime the Founders specifically cited as an impeachable offense. Moreover, this report details numerous instances of Obama lying to the American people, a pattern which clearly indicates a character defect that in itself endangers America. Given this, we believe impeachment is necessary for the future survival of America,” says the report. * Obama’s violations of federal campaign and ethics laws, including the offers from his administration to Democratic U.S. Rep. Joe Sestak, who reported he was offered a high-ranking government job to drop his opposition in the Pennsylvania Senate primary to sitting Sen. Arlen Specter. * Suggestions from Obama’s own Federal Election Commission documentation that he got at least $33.8 million for his campaign from disallowed foreign contributions, including 520 contributions from interests in Iran as well as $30,000 from the Hamas-controlled Gaza area. * Obama’s administration decision to drop a case that prosecutors already had won against “black nationalist thugs” who were seen on video apparently intimidating voters during the 2008 election. * Obama fired an inspector general, Gerald Walpin, after he exposed corruption linked to one of Obama’s buddies, Sacramento Mayor Kevin Johnson. His Department of Homeland Security also has “described veterans and other law-abiding Americans [as] ‘rightwing extremists,'” the report says. Further, the report explains how the U.S. State Department gave a grant to the Al-Quds television network, owned by the terrorist group Hamas, and invited them to the U.S. to produce a propaganda film. Samantha Power, who once referred to the U.S. presence in Iraq as an “occupation” even as she favored sending troops to Israel to forcibly impose a Palestinian state, was appointed by Obama to the National Security Council, the report says. And the report reveals how rapper Jay-Z and Beyonce were photographed sitting around the “Situation Room” – the confidential White House location filled with top secret communications equipment that allows the tracking of terror threats worldwide. Access to the room normally requires a high security clearance level. “Many of Obama’s actions, if they do not flat-out violate the Constitution, certainly undermine the spirit and intent of the Constitution as envisioned by our Founding Fathers,” the report explains. The president even has changed history to remove Christian references, the report explains. The report also has extensive sections on Democrats’ new health-care law and what it means, as well as immigration. “President Barack Obama has proven to be incompetent, reckless, deceitful, and naive when it comes to making economic decisions and protecting America’s security interests. His history of corruption, power-grabbing, and misleading the American people have created a pattern we believe jeopardizes America,” the report says. “This report reveals a pattern that demonstrates Obama is constantly engaging in actions that reflect a hard-left ideology antithetical to America’s founding principles. … Obama is clearly dismissive of America’s constitutional principles and obviously dislikes the role America plays in the world. He dislikes our Judeo-Christian heritage and detests America’s historical allies. Did you know that there are over 80 members of Congress who are SELF- PROCLAIMED Socialists, Communists or Socialist Sympathizers? Did you know that 70 of these members of Congress actually hold (or have held) membership in the Democratic Socialists of America… the American arm of Socialists International? Did you know that 11 of the 20 standing committees in the House of Representatives are chaired by members of this radical group? Did you know that up until the time she assumed the Office of Speaker of the House, Nancy Pelosi was the chairman of this group? Did you know that, up until the time he assumed (some say usurped) the office of President of the United States, Barack Obama was a member of this radical group? It’s not a conspiracy theory… in fact, it’s not even an open secret. The plain and simple fact of the matter is that this radical group of Representatives and Senators have caucused openly in the United States Congress since 1991… but the Mainstream Media has never bothered to tell you about this group. In addition, as if things are not bad enough, the Congressional Budget Office recently just released a report that stated unequivocally that with the current excessive government expenditures so far exceeding inflow of cash; and with all the additional “fiat” (worthless) Federal Reserve Notes that the FED is currently printing to meet the demand, which only drives up inflation and further devalues the USD, that it is only a matter of time until the United States Corporation defaults. Question: Where is the major News Media on that story? The answer is the News Media and also many of our elected officials in DC have long since jumped ship, and have betrayed both our Constitution and our country, and at the top of that list are Barack Hussein Obama, Nancy Pelosi, Harry Reid, and many others as well… including the Bushes, and Clintons! So why are they doing this? They have been recruited by the Globalist Bankers to implement their “New World Order” agenda; and that can’t happen with a strong USD, and economy; and with our U.S. Constitution and all our liberties in place. Thanks to the Executive Orders, signed into law under the War Powers Act, starting under former President George W. Bush’s administration, most of those rights have already been taken from us; and the rest will go once Martial Law is declared! I and others have been sounding the alarm on this conspiracy for quite some time, as the plan is to undermine our sovereignty, do away with our U.S. Constitution, along with all our rights; and once and for all kill the Republic; and yet still most of America sleeps because the media has not told the truth, and is part of the problem! We have to wake up folks and get a clue! While we are so busy with own battles, trying to survive in this economy, our country is being stolen right out from under us. We don’t want to make the same mistake as others have in history; as happened in pre-Nazi Germany, for instance, where the people went along and didn’t object, until it was too late! Time is running out for us, and we need to do some serious praying! Let us continue to watch and pray for a miracle of God to save us… or we won’t make it! The answer is first prayer, as we implement 2 Chronicles 7:14, and as a nation and as individuals repent; but also we need to wake up, and as our Lord said, “BE WISE AS SERPENTS” (a term which He used many times in scripture to describe the enemy. The point is, “We the People” have to take back our Republic, and exercise our Constitutional rights, while we still have a Constitution, though they have sought to replace it. Previous Previous post: Check this out… an angel was caught on video tape!!! All contributions in support of this site are very much appreciated… thank you! What did Jesus mean when He told His disciples to count the cost? I Pledge Allegiance to the Republic! As of March 30, 2010, we are the re-inhabited Republic for the united states of America, the ONLY de jure (lawful) government that we have, according to our U.S. Constitution. So please do check us out and join us. Do it for the sake of your children and for all future generations.